During his 92 years on earth, John Dingell touched more lives than are possible to count. For many, that touch was a personal experience, moment, or even a decades-long friendship. After Congressman Dingell passed away in February, 2019, many members of the HFC community reached out to share stories or thoughts. We share some of those here, in the spirit of community and honor for a great man. 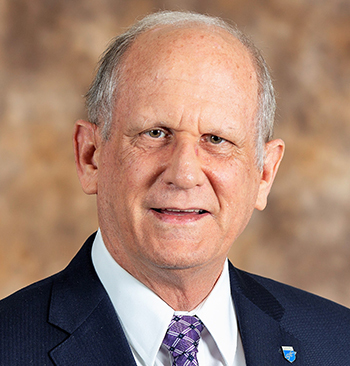 Be sure to read the February 8 remembrance message from President Kavalhuna, which included quotes and remembrances from civic and College leaders. In 2009, as part of my Anthropology MA work at Wayne, I surveyed a historic wooden road from the War of 1812. 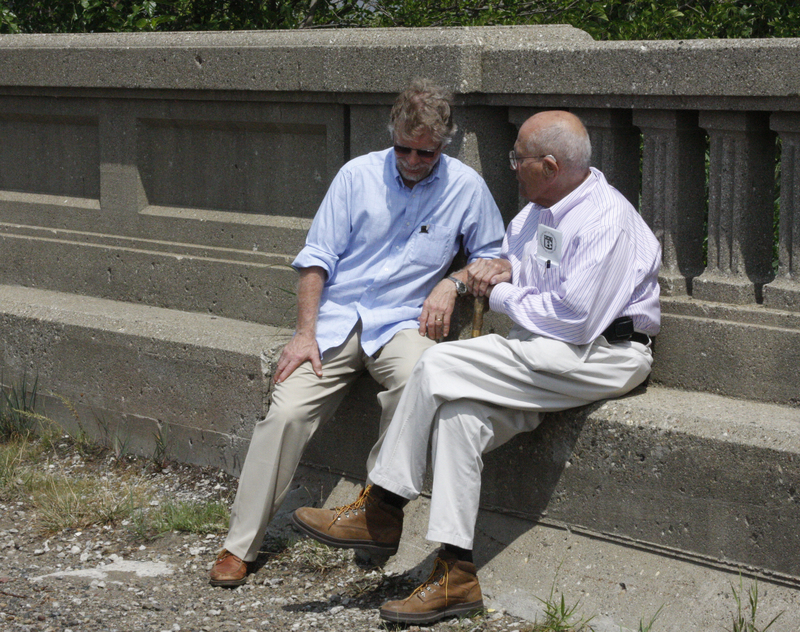 With the Bicentennial approaching, I was working with the Michigan War of 1812 Commemoration Commission to get it designated as a historic landmark, but the process was stalled... until John Dingell took an interest. Apparently, “John Dingell wants to get this done” were magic words. 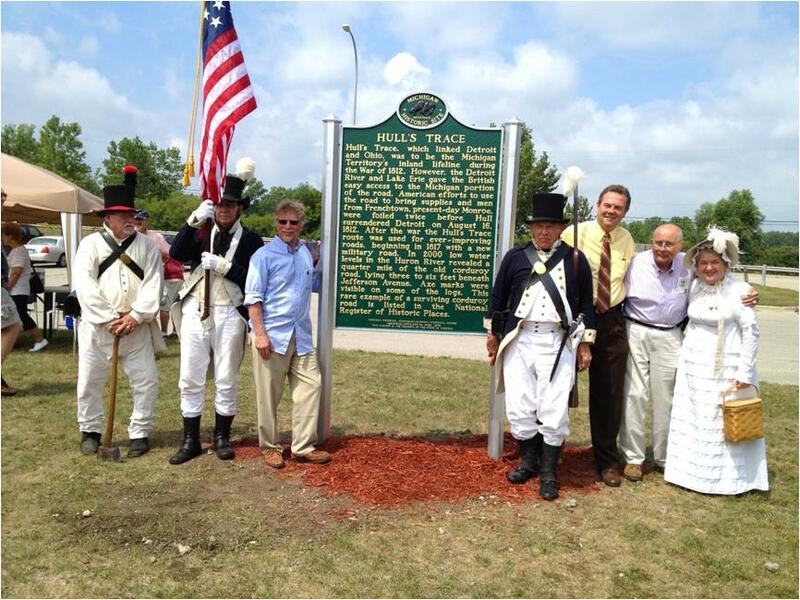 On August 5, 2012, the 200th anniversary of the Battle of Brownstown, we unveiled the first historic marker dedicated in Michigan in years, and John was there. Afterwards, we talked. He asked me what I needed next. 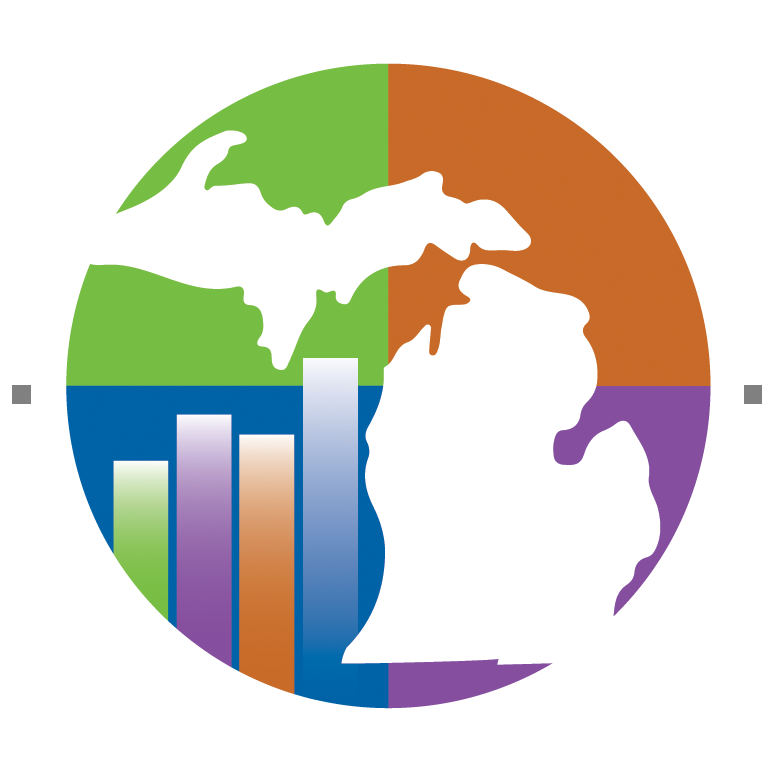 I told him we really needed to have the sensitive site protected, and that the National Park Service was interested, if all the players could be brought to the table: Wayne County, Michigan DNR, and the NPS. Not surprisingly, in July 2014, we dedicated the Hull’s Trace Unit of the River Raisin National Battlefield Park, and John was there again. 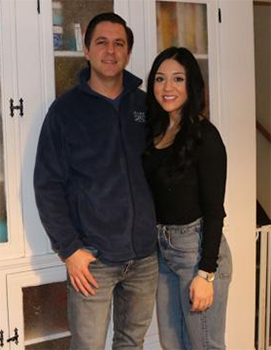 Every time I talked to John or Debbie, it was just like I’d left the room for a few minutes, and we picked up where we had left off. I’ll miss John terribly, but I’m so glad we have Debbie to carry on. What a legacy. The Hull's Trace marker dedication, 2012. 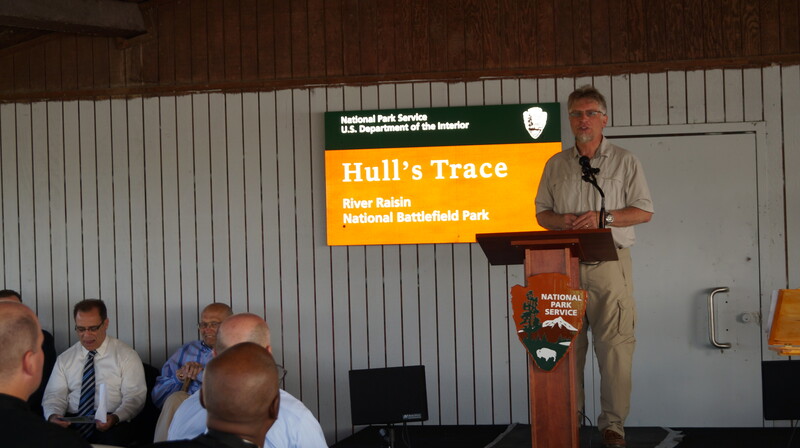 The Hull's Trace dedication ceremony with the National Park Service and Congressman Dingell (partially obscured). Dan Harrison talking with John Dingell, ca. 2012. Prior to coming to HFC, Business Intelligence Systems Analyst Rick Michalski interned for Mr. Dingell and spoke fondly about his experience. 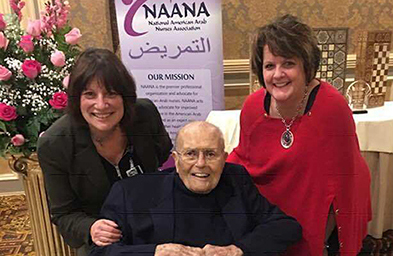 Cathy Gangarossa and Susan Shunkwiler of the HFC School of Health and Human Services had the opportunity to spend time with John Dingell at the National American Arab Nurses' Association event. Former Congressman Dingell was awarded the 2017 NAANA Angel of Mercy Award for his lifelong support of the Arab American community and the cause of healthcare for all. Mohamad Rustom, president of NAANA, said, "Mr. Dingell has been an icon in the Arab American community for years because of his staunch support of our community and for his fight for the rights of all Americans to receive affordable health care. We are honored that he accepted our invitation to attend and be recognized with our highest award. While we customarily recognize Arab American nurses, we also acknowledge the work of others who help or make a significant impact on the Arab American community." John Dingell was a strong supporter of HFC students during his long tenure in Congress. In 2004, the political science department instituted our ongoing series of annual Michigan Student Political Issues Conventions. Mr. Dingell was an early supporter of our civic action activities, and always agreed to speak to our students in the Forfa Auditorium. Even as his mobility became more limited, his mind was sharp as ever. The longest-serving member of Congress in history related well to our young political science students, and they walked away with lessons on the importance of civic involvement and political participation in their lives. We were always honored to have Mr. Dingell’s participation in our programs, and HFC had a great neighbor and friend. It's very difficult to summarize John Dingell in my eyes. Clearly on the larger scale he was so influential to the country passing the Affordable Care Act, Voting Rights Act, and the list goes on and on. 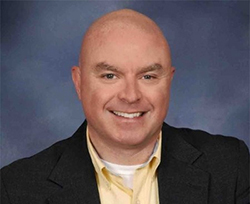 He was a man who always gave back to his community greatly remembering many people by name. There were multiple occasions where I would meet him and he would immediately recognize me. I thought highly of him, on a personal level, for taking the time to remember me by name. He also always supported education greatly, including Henry Ford College. 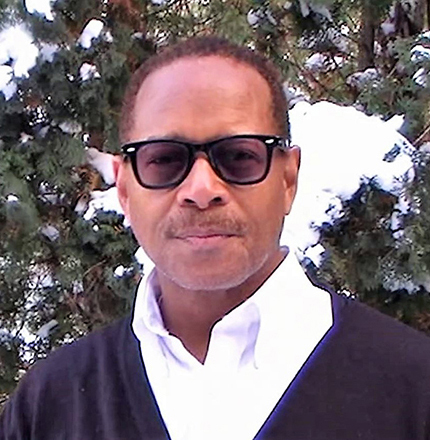 He participated at the college at political conferences that inspired many students and community members. He definitely influenced everyone at the College since I have been there. It's also great that Debbie Dingell is continuing his legacy in Congress. Congressman John Dingell authored such life-changing legislation for civil rights, clean air, safe drinking water, education, and national health care. However, you can’t talk about the late congressman without mentioning his wife and political partner, Congresswoman Debbie Dingell. As members of the HFC family, we are honored to be members of their constituency, as we mourn the loss of ‘our’ greatest-ever member of Congress. Have a story about John Dingell that you'd like to share with us? Email it to communications@hfcc.edu or tag us on our Facebook page or via Twitter.